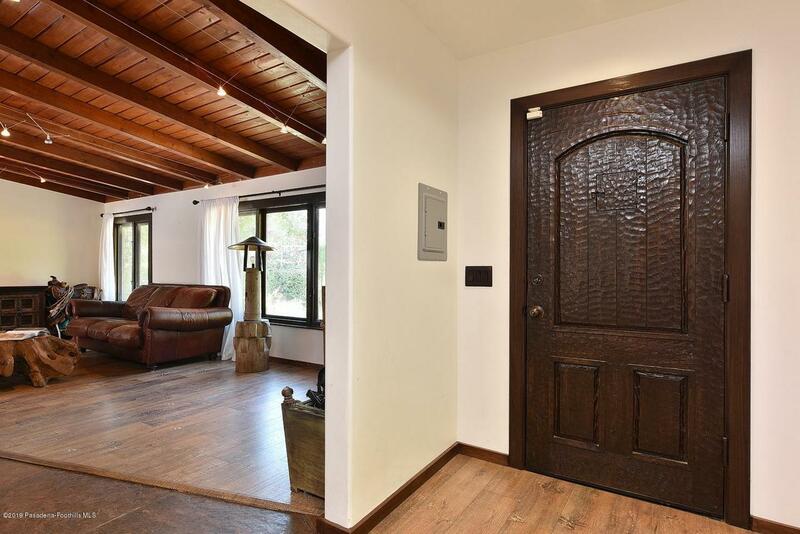 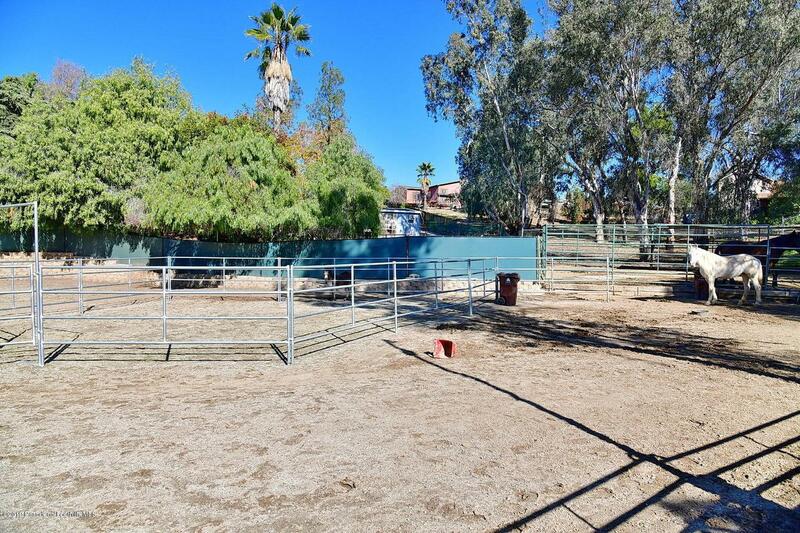 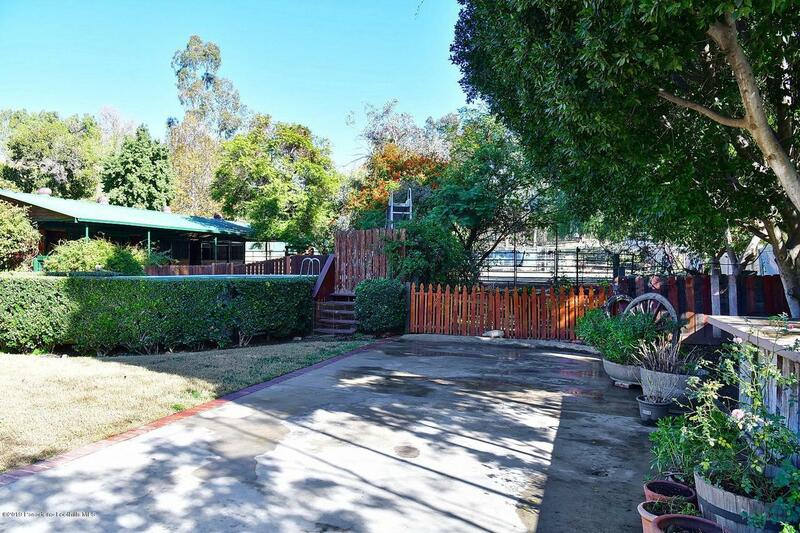 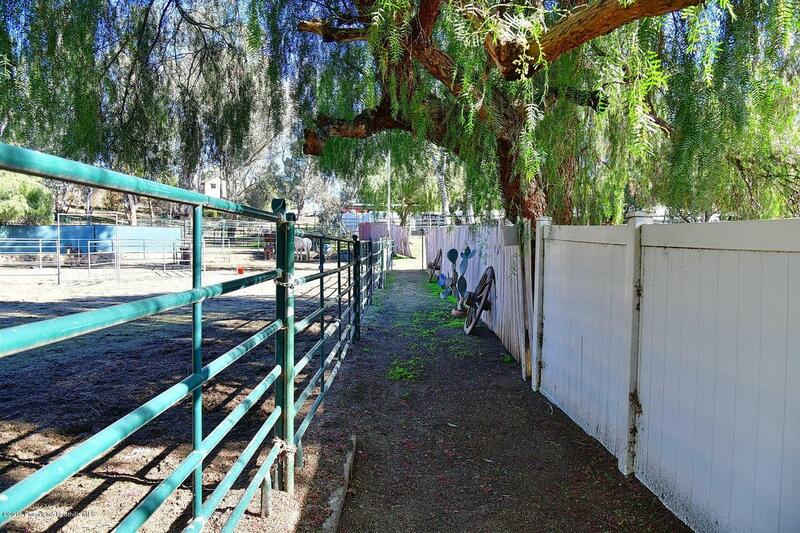 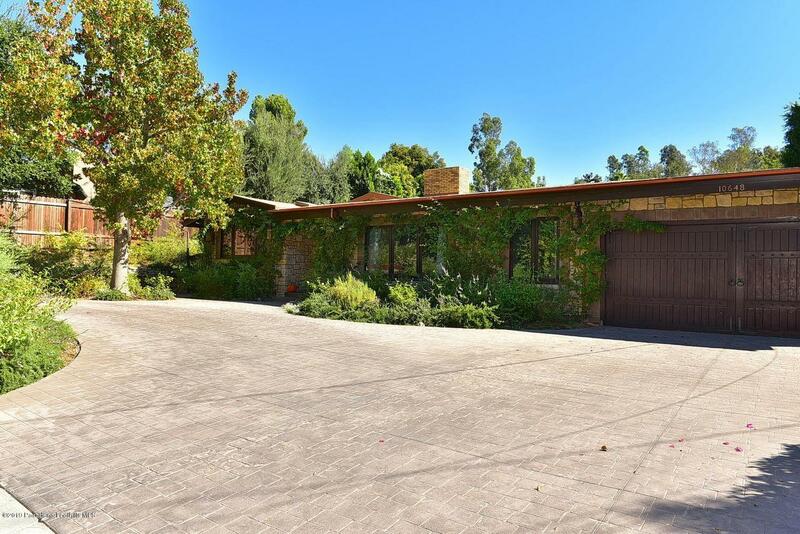 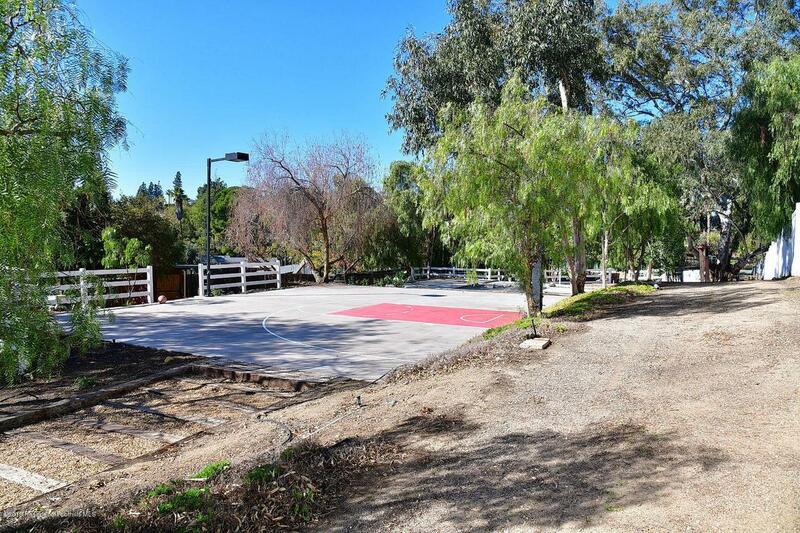 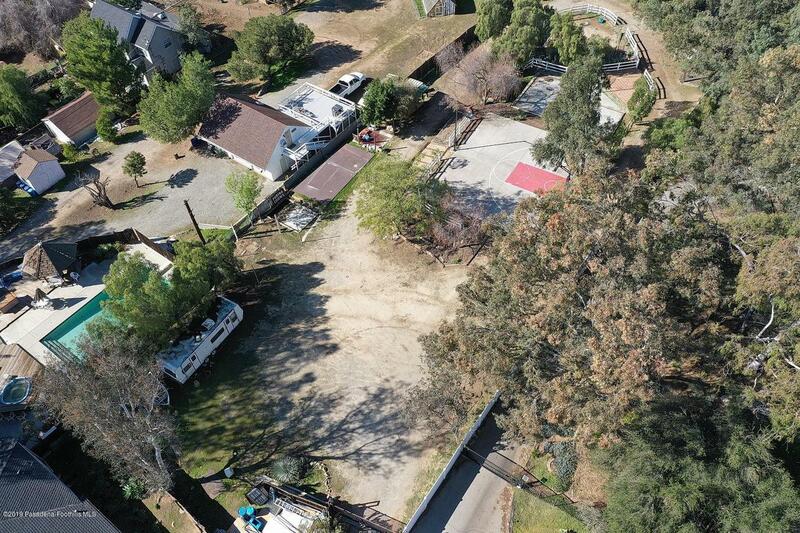 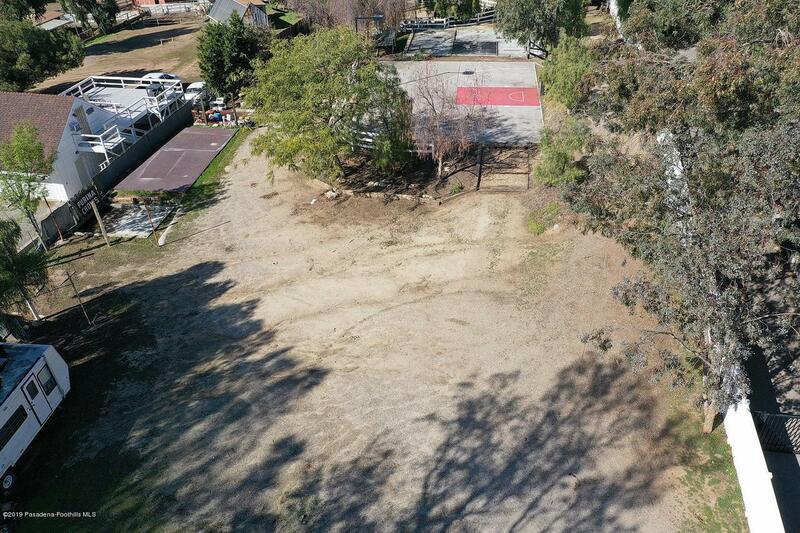 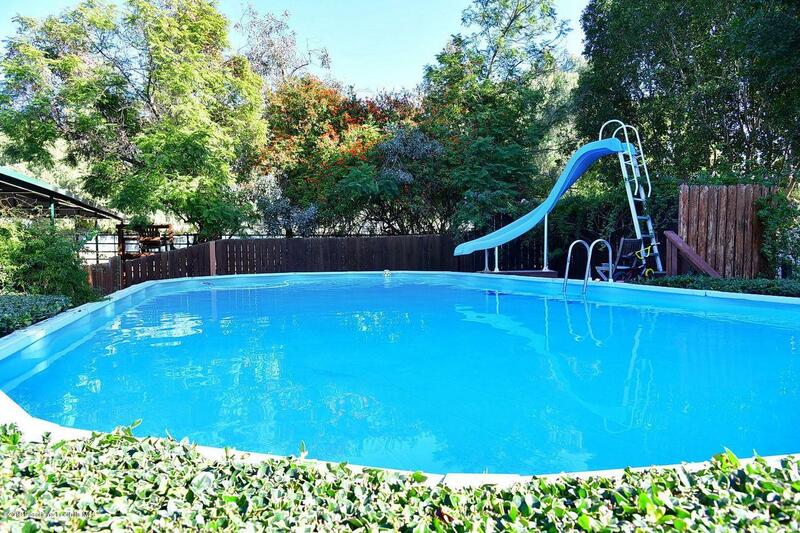 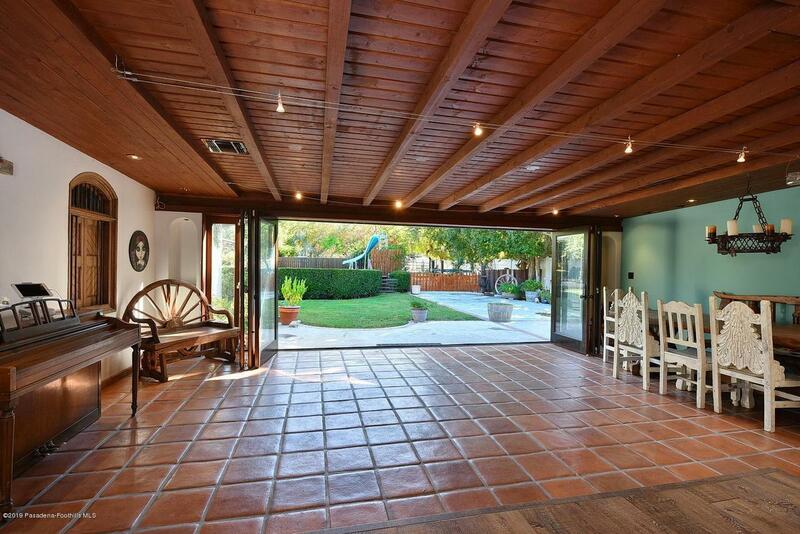 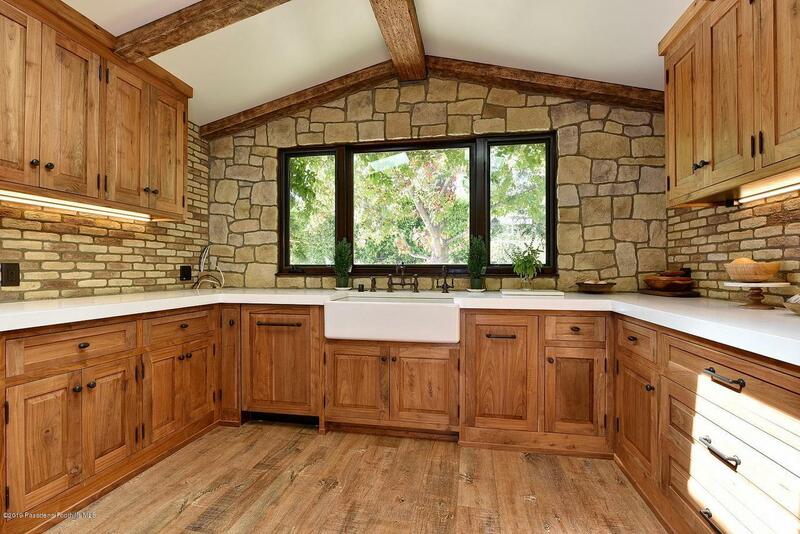 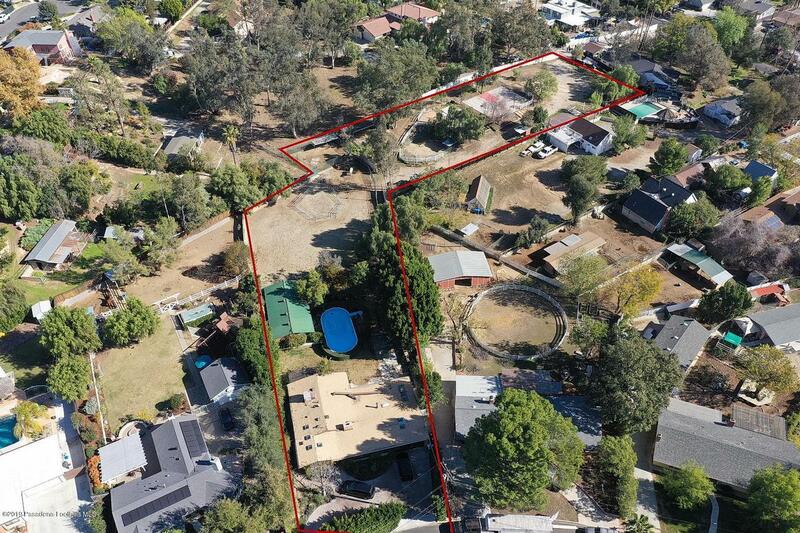 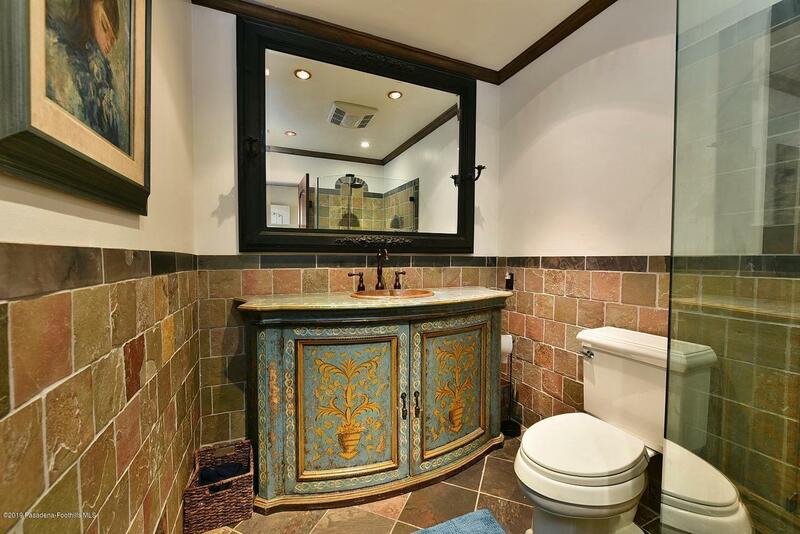 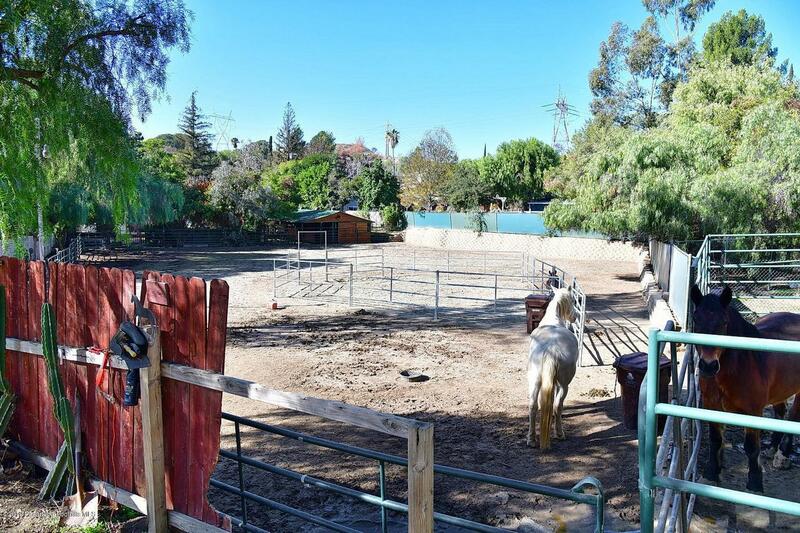 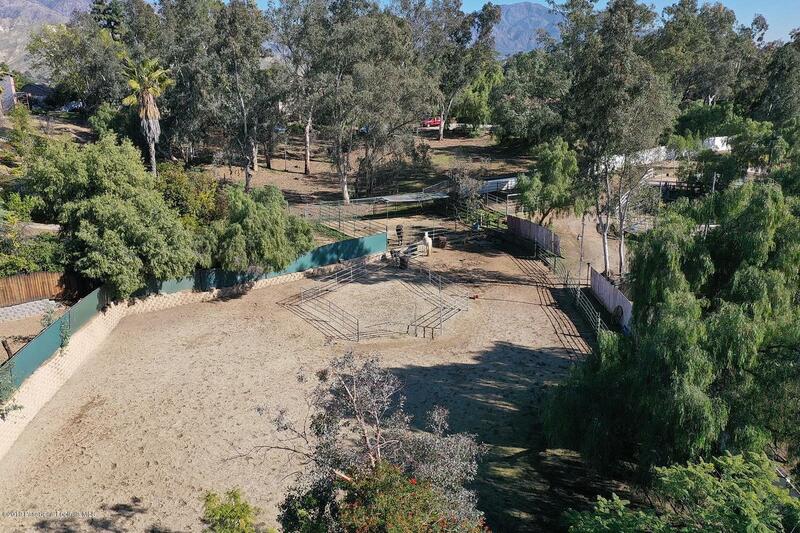 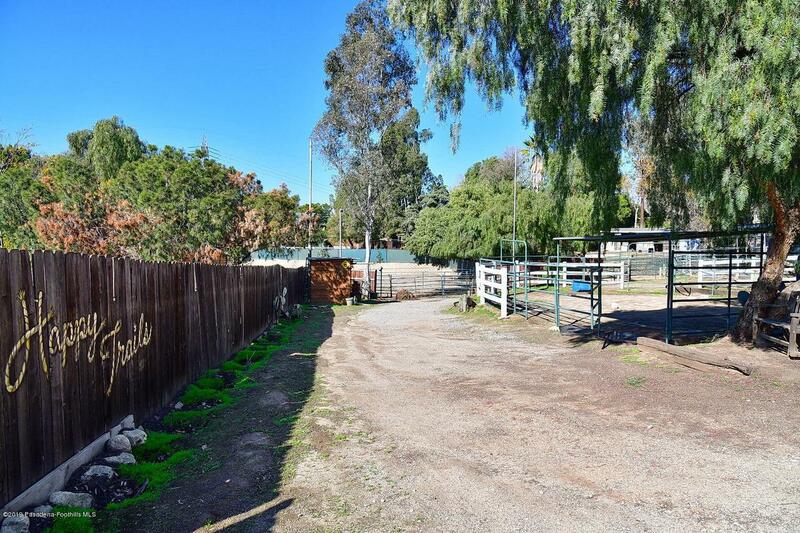 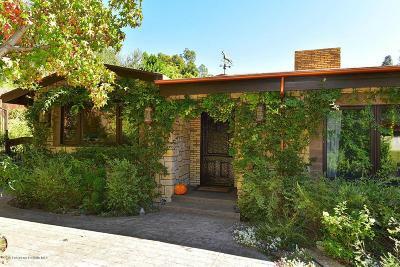 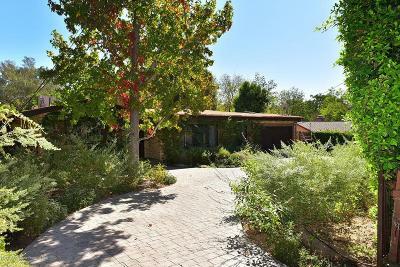 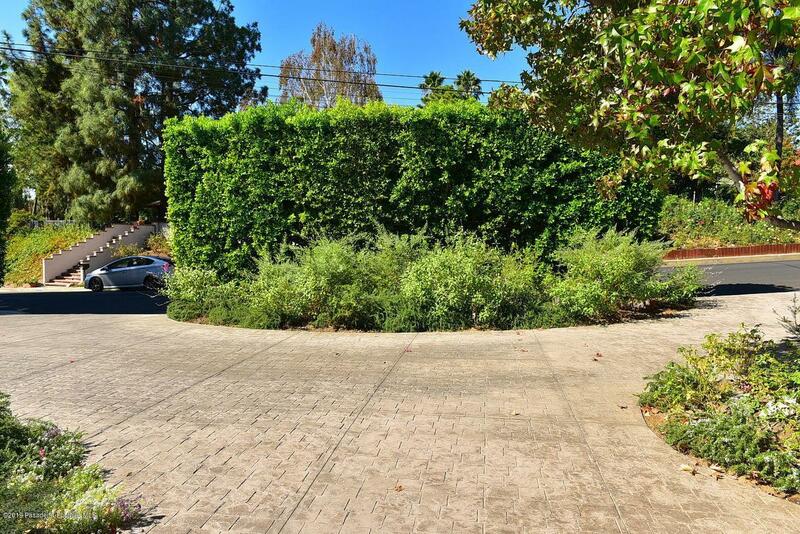 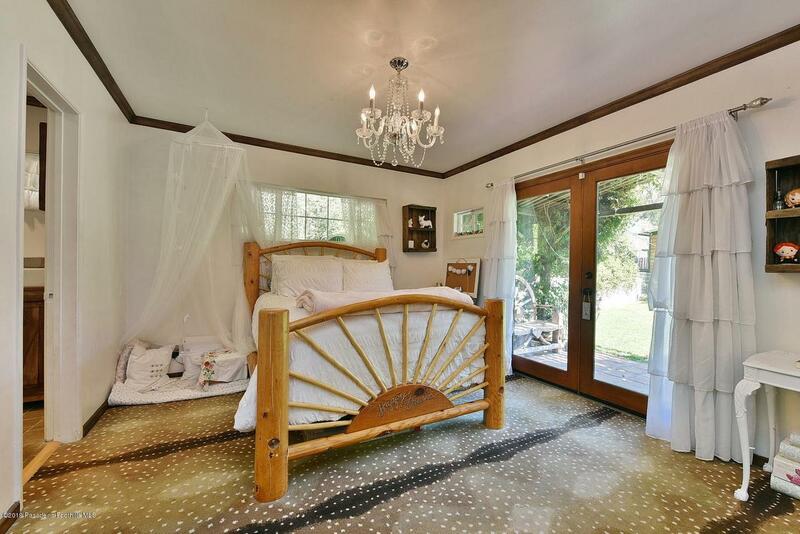 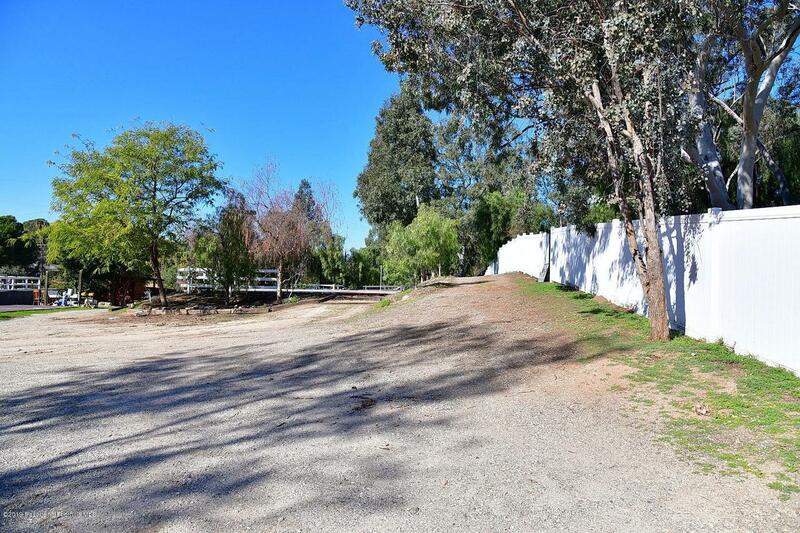 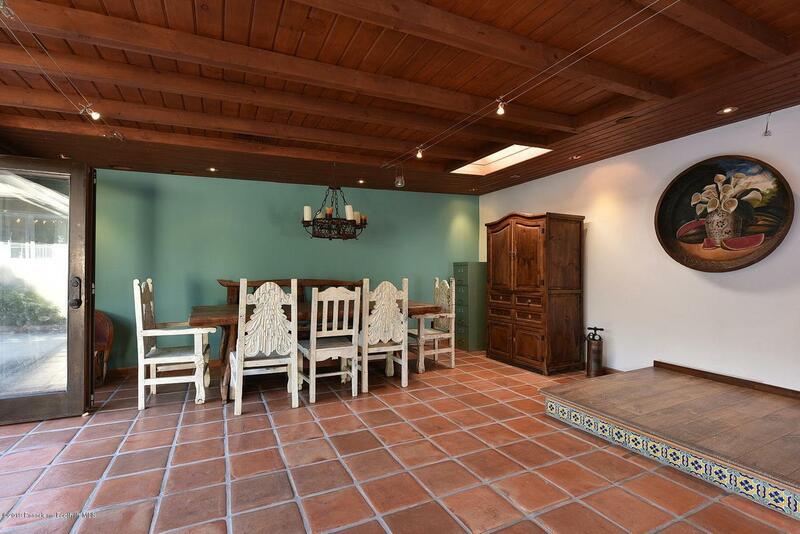 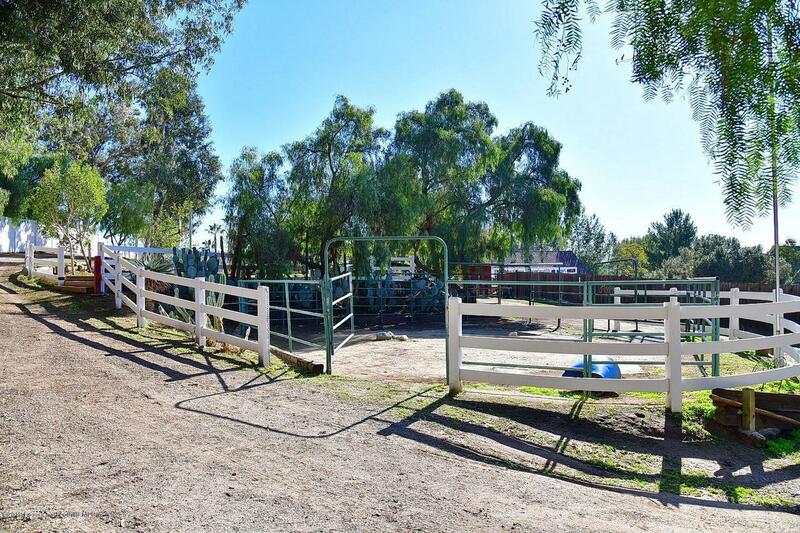 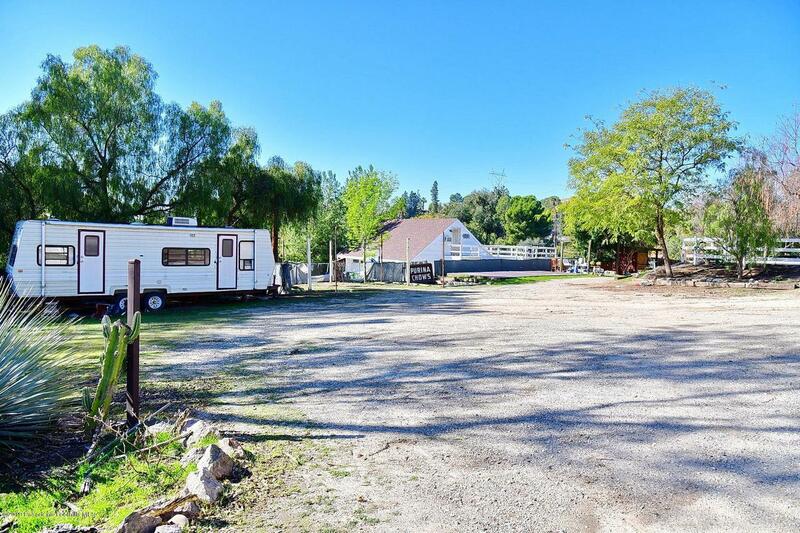 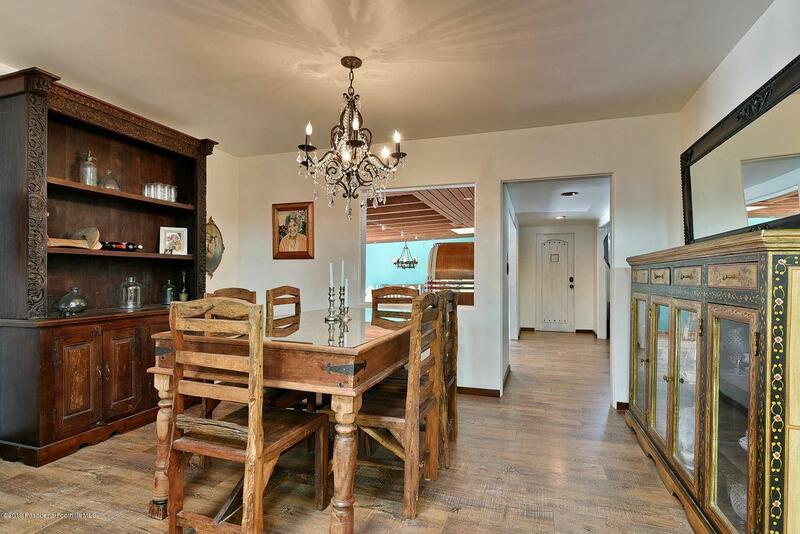 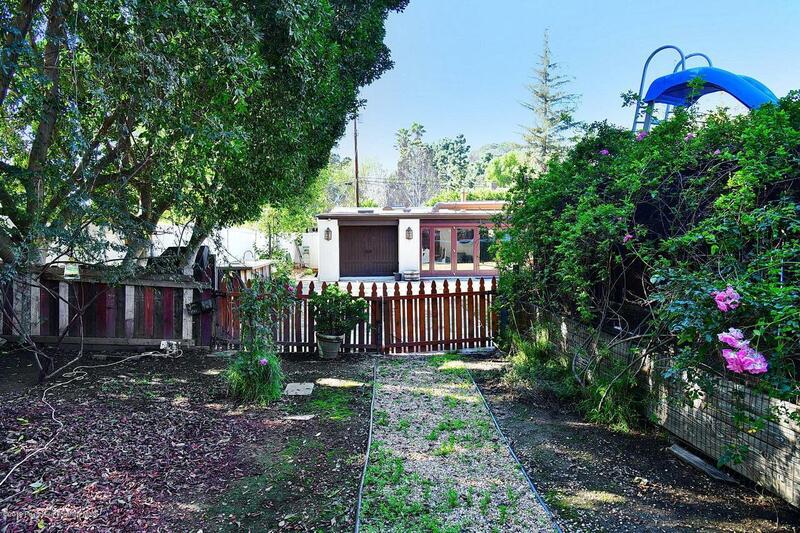 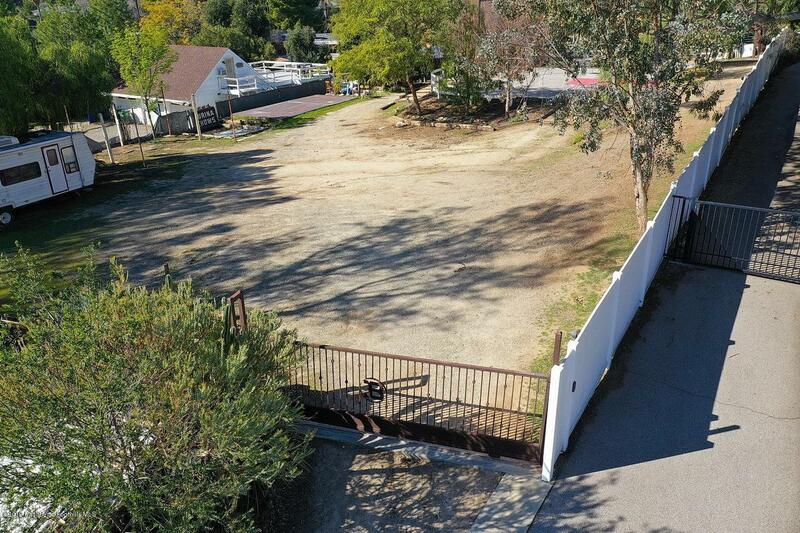 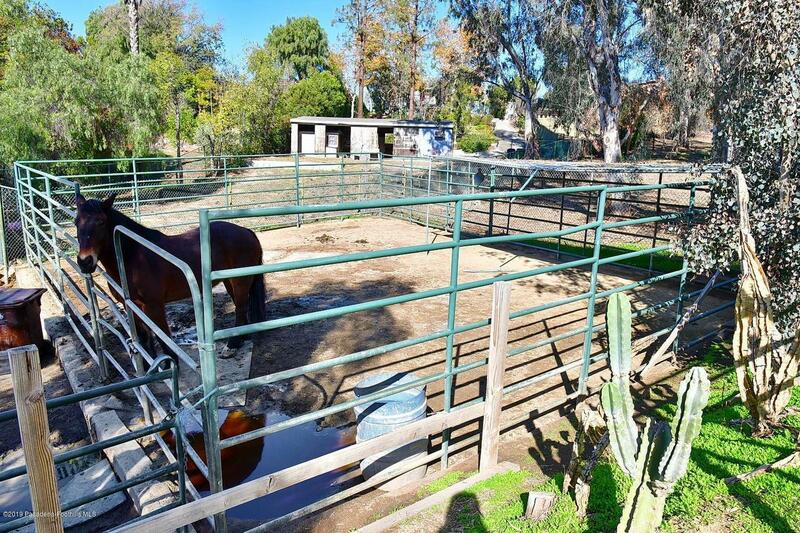 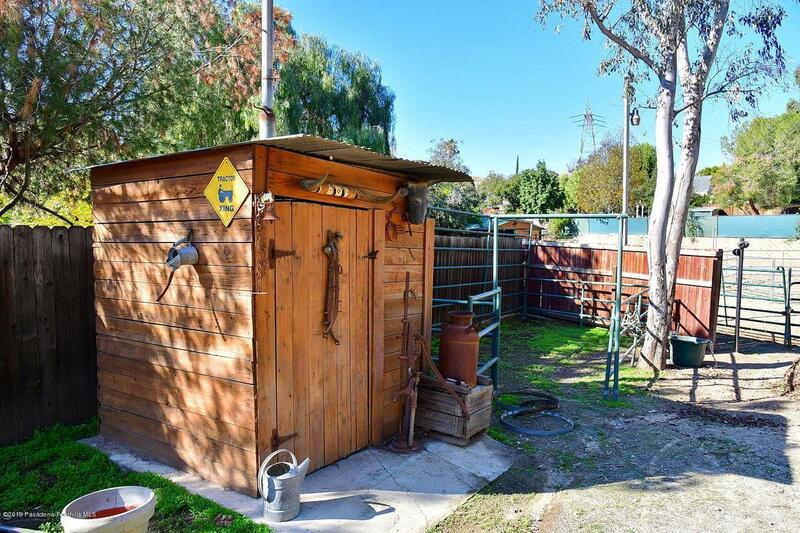 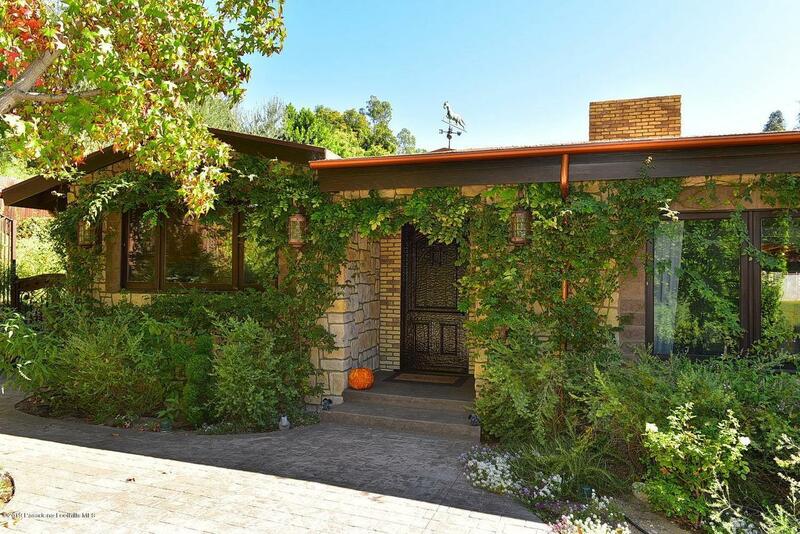 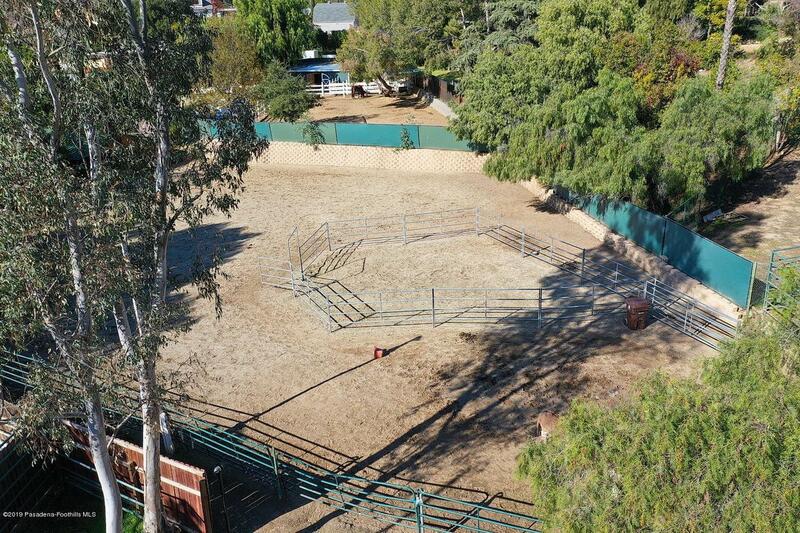 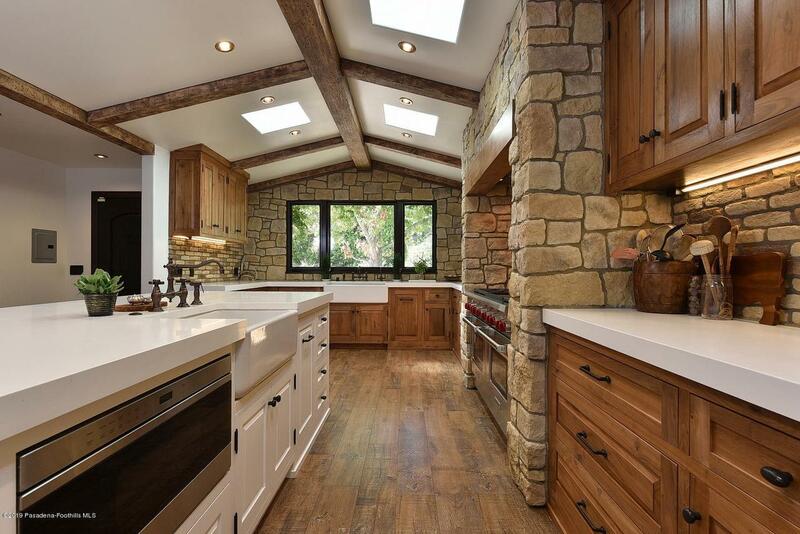 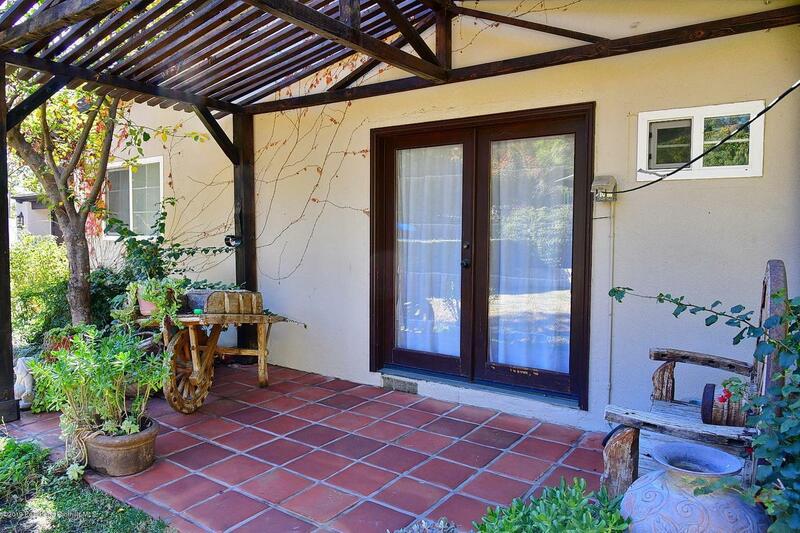 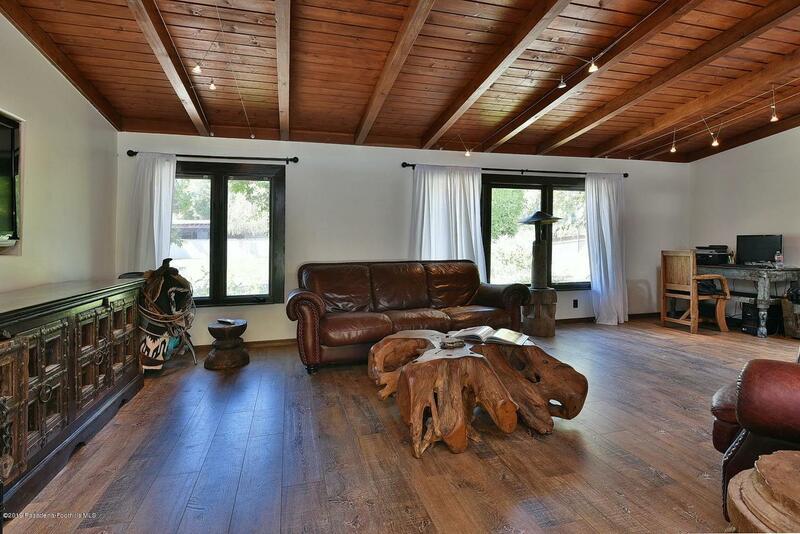 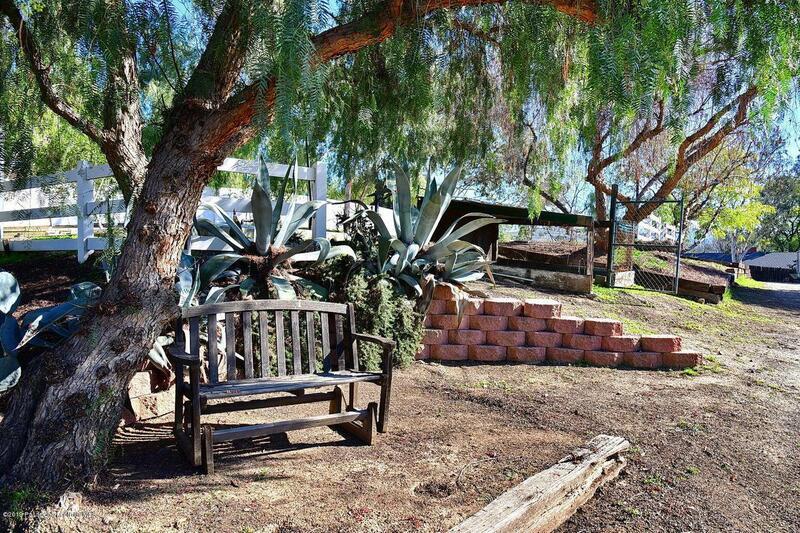 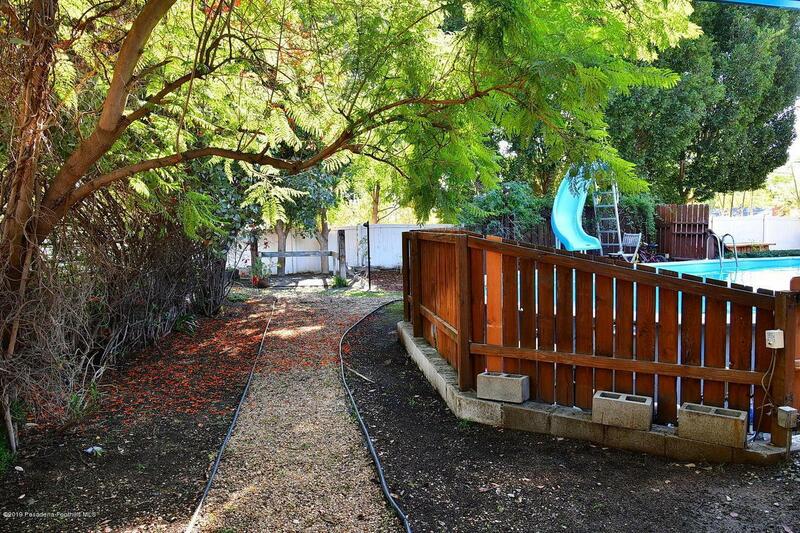 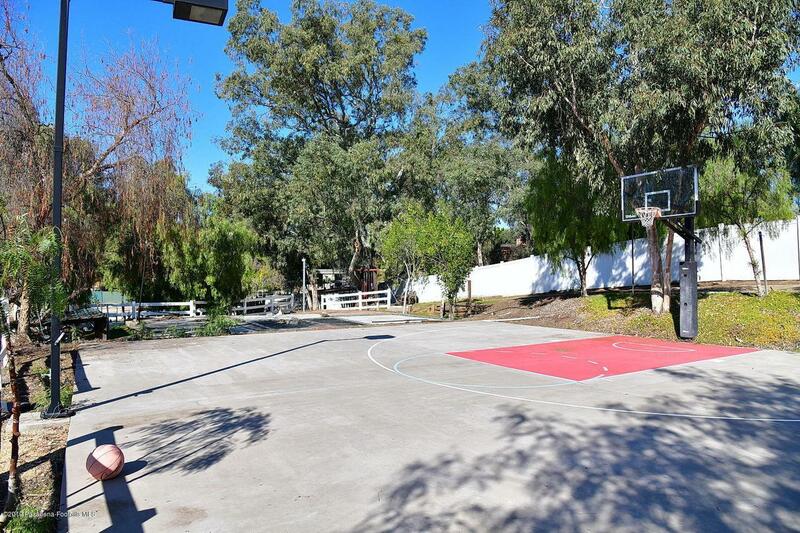 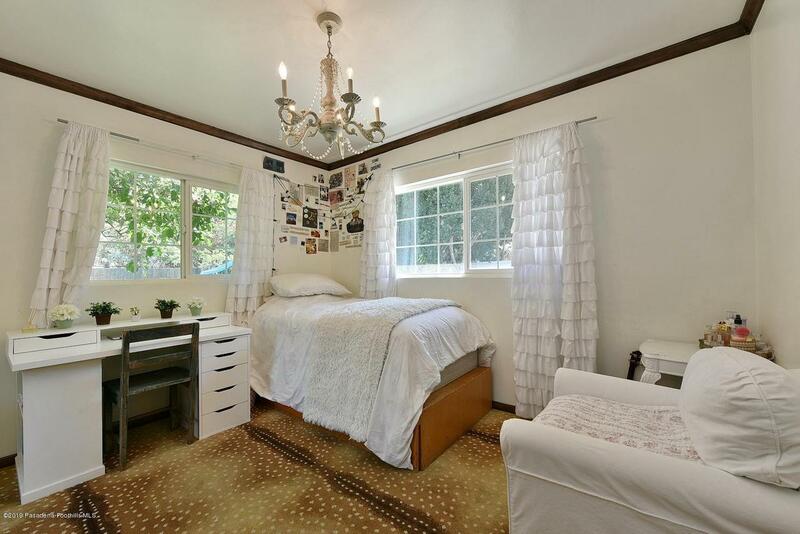 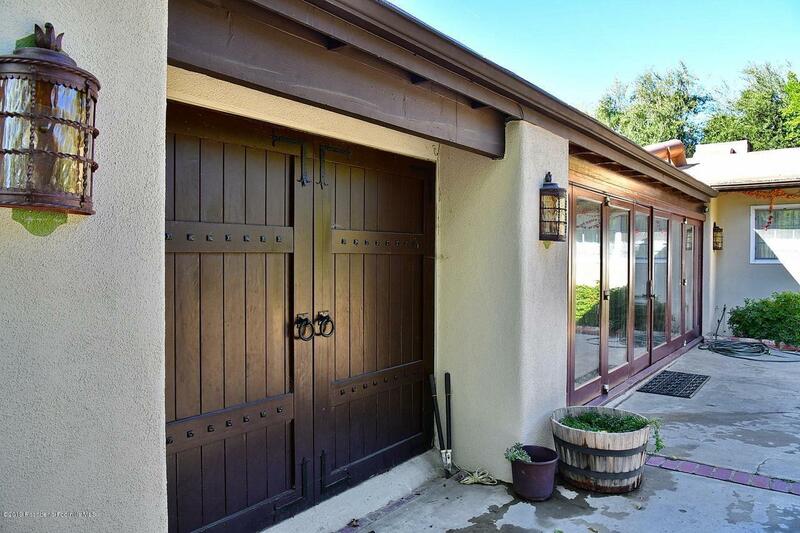 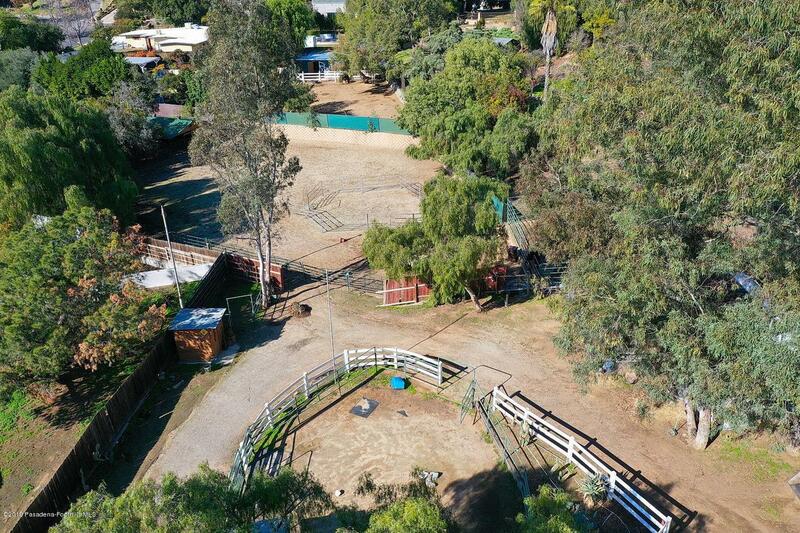 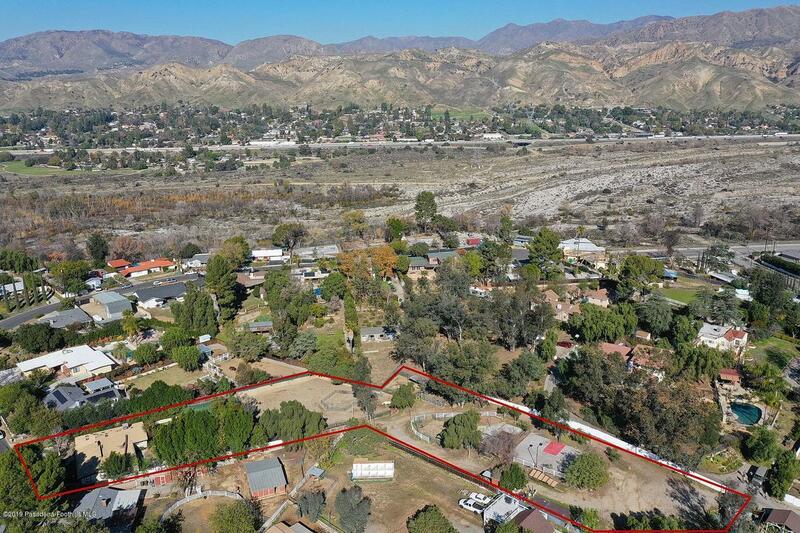 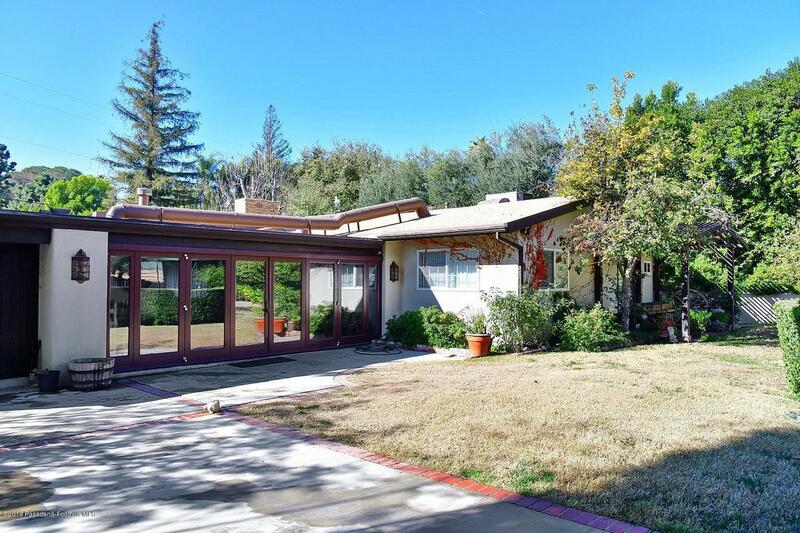 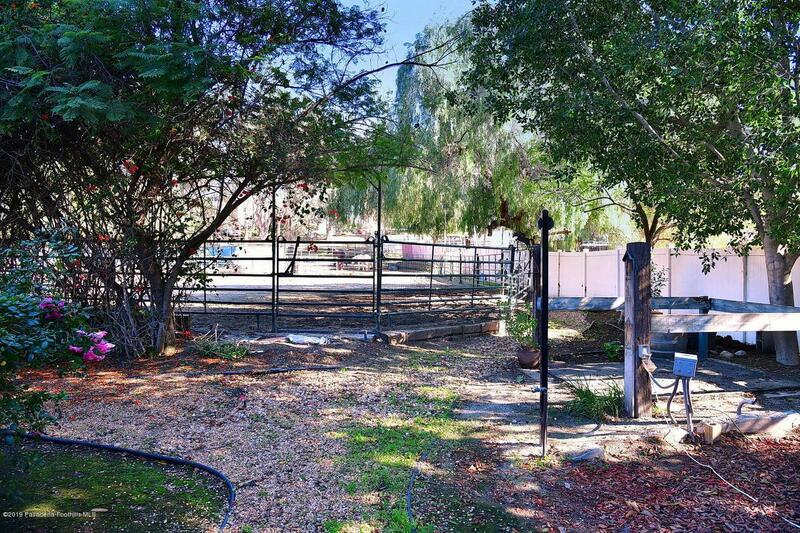 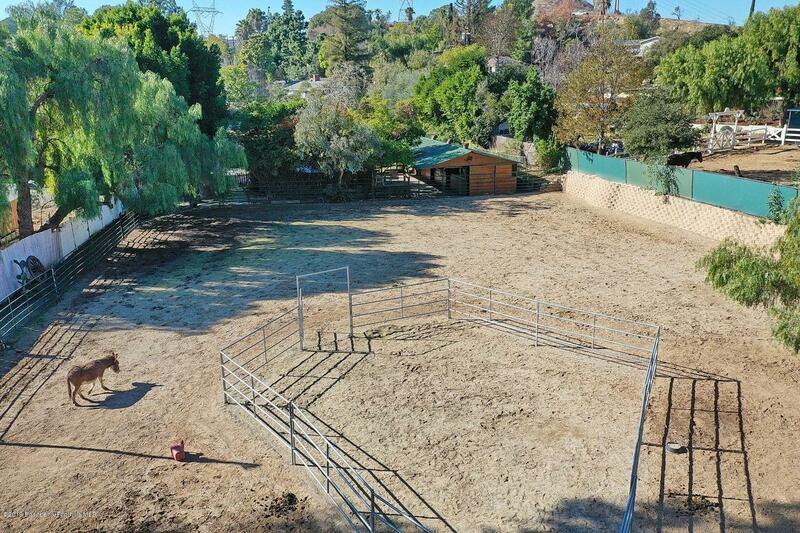 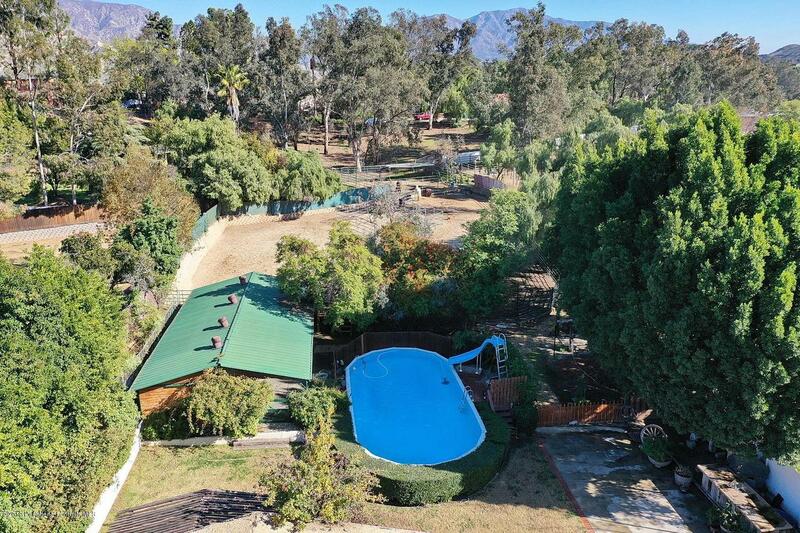 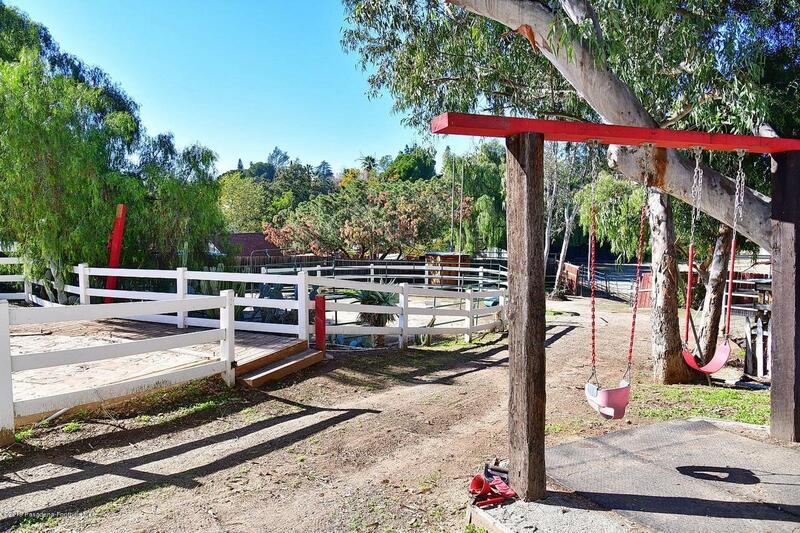 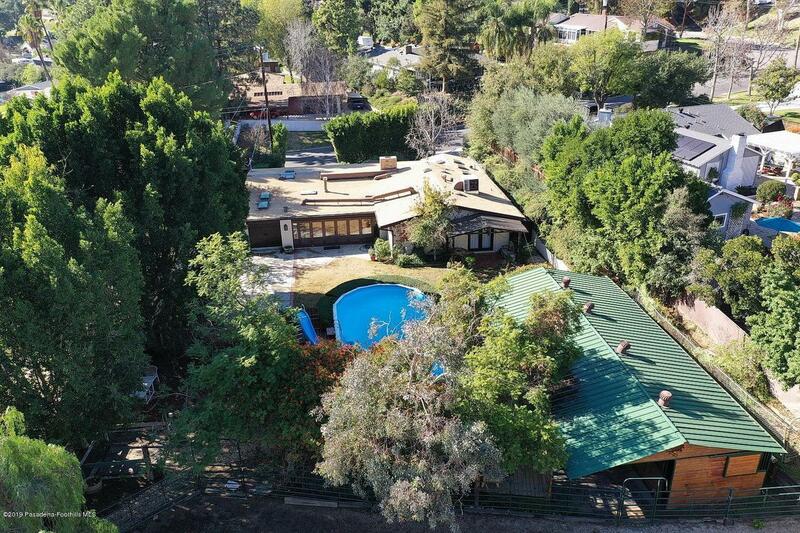 Located in Shadow Hills, a hidden gem of an area, close to Los Angeles and the Studios, this fabulous equestrian property offers an updated Hacienda style home on approximately 1-1/3 acres of usable land with entrances on Wheatland Avenue and McBroom Street! 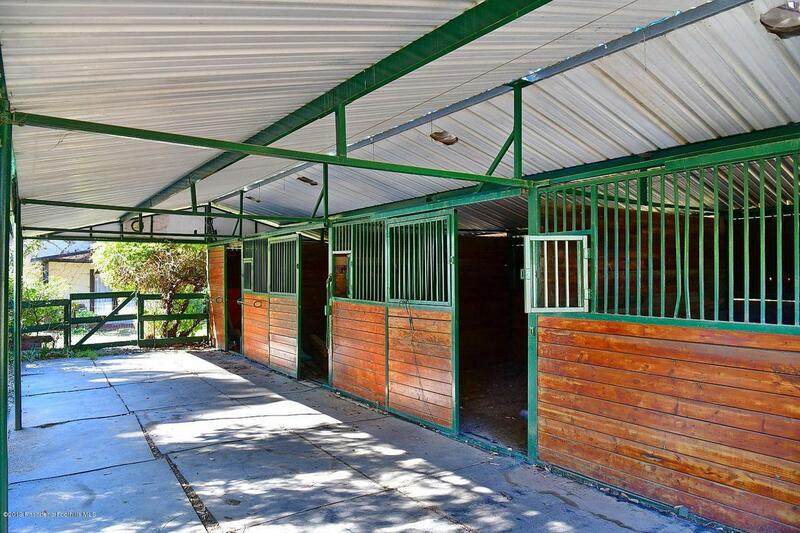 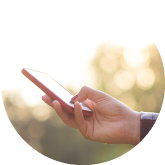 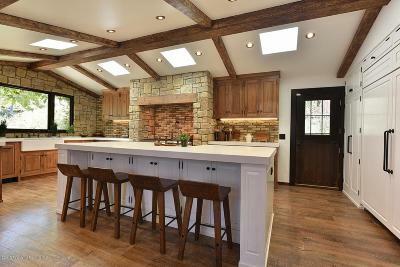 Miles of nearby trails are the equestrian and exercise enthusiast's dream. 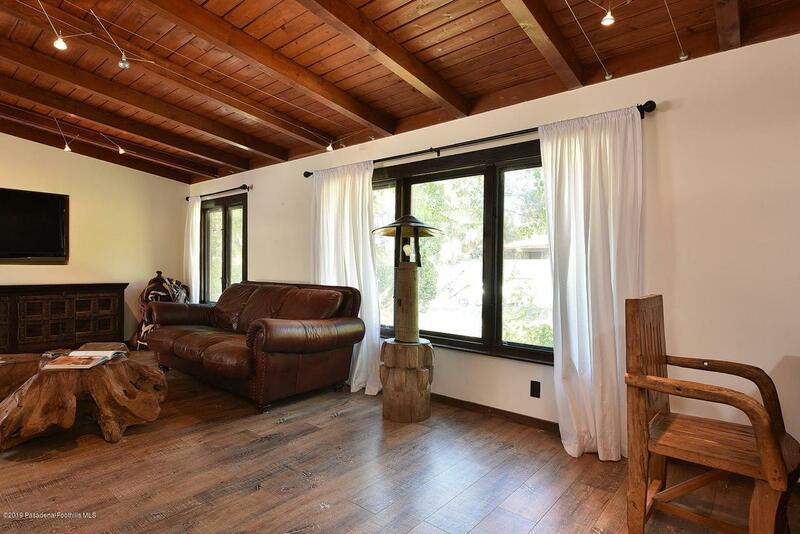 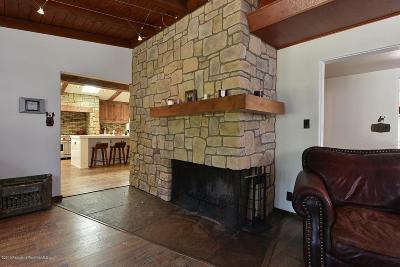 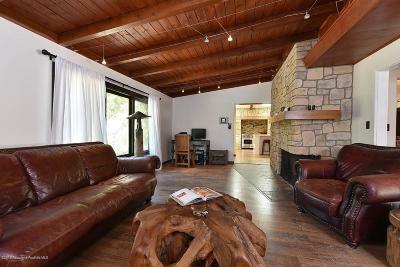 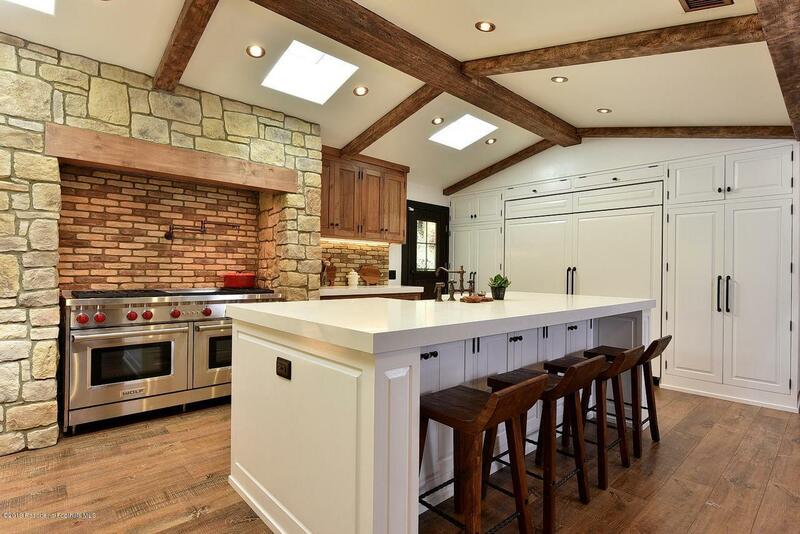 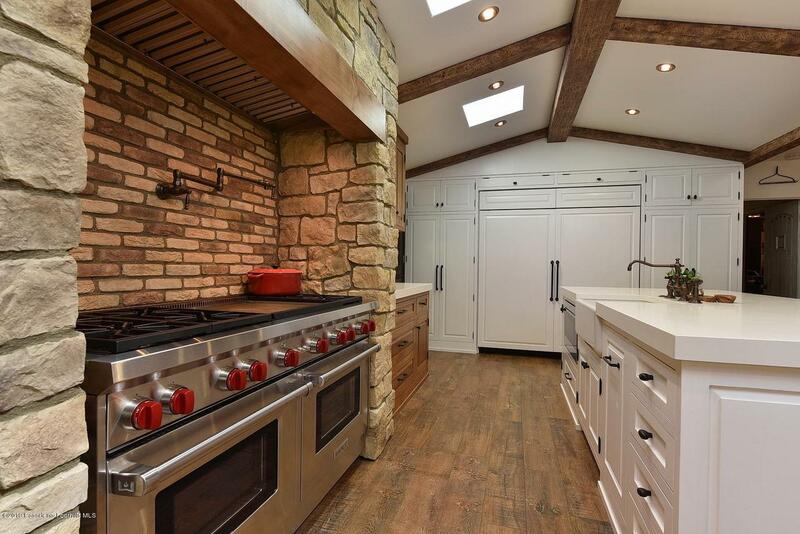 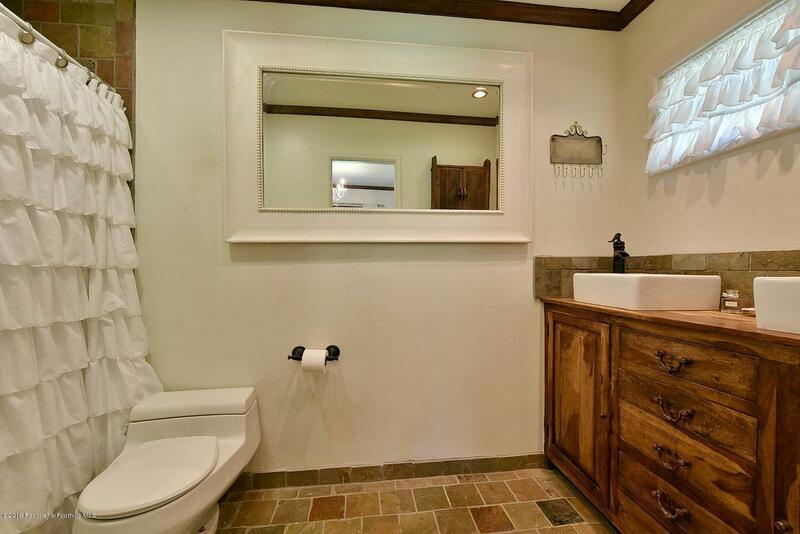 Lived in as a four bedroom home, also offered are a living room with stone fireplace, huge family room with bi-fold doors to the yard and pool, newer kitchen addition with top of the line appliances, skylights and center island with eating bar. 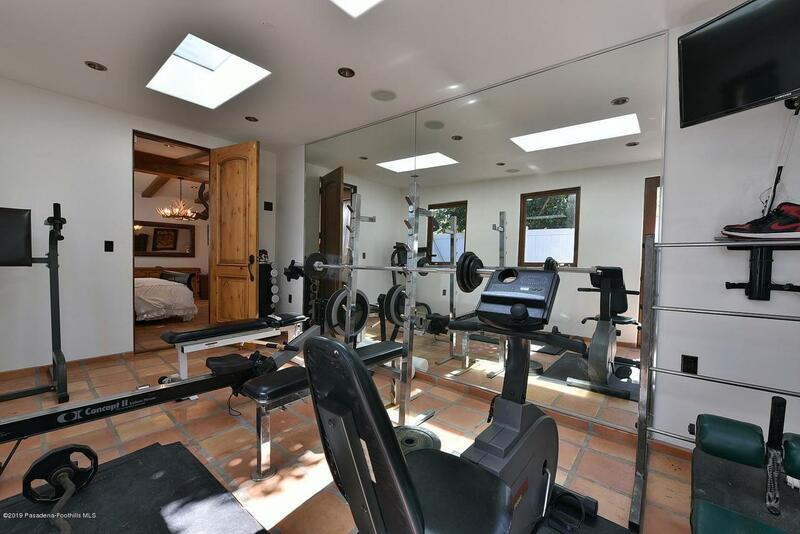 An at home gym is adjacent to the master bedroom. 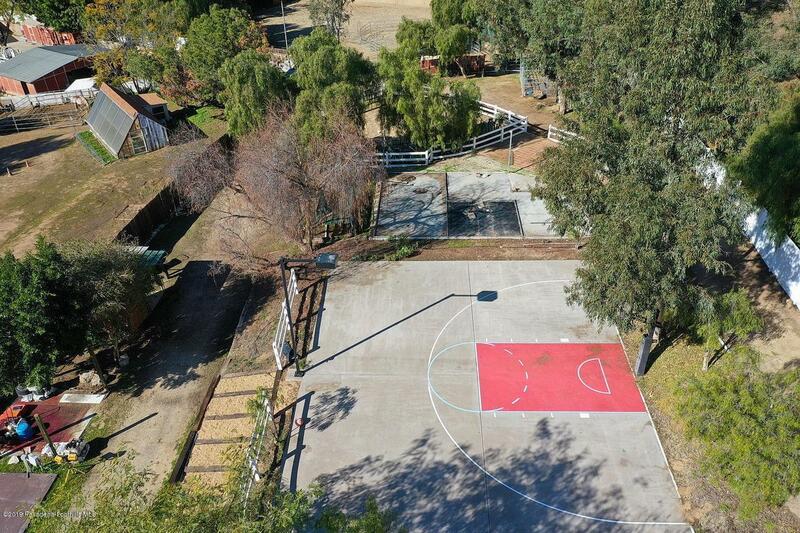 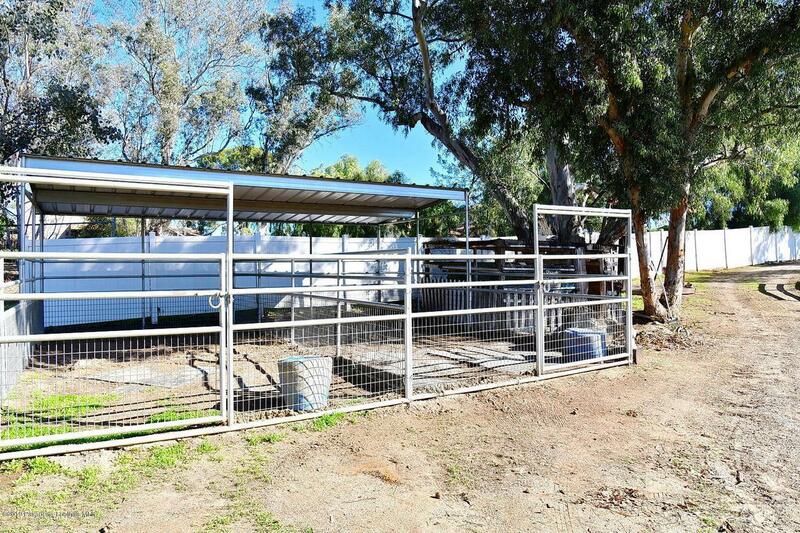 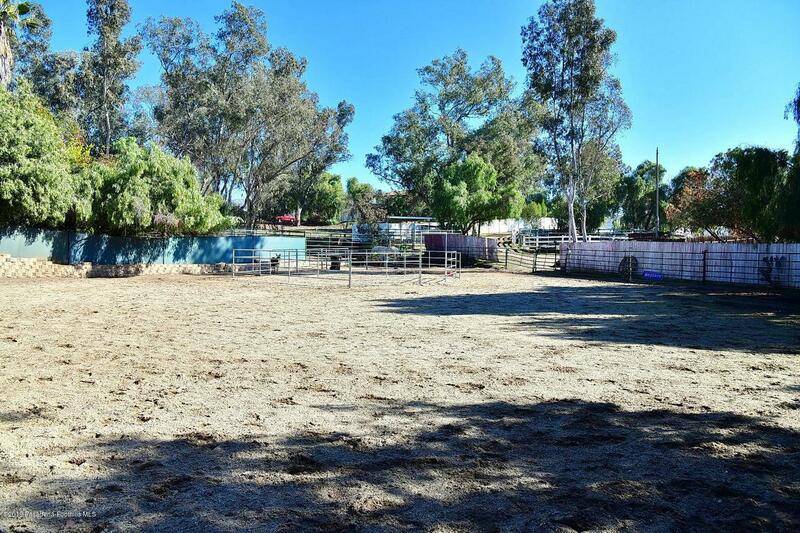 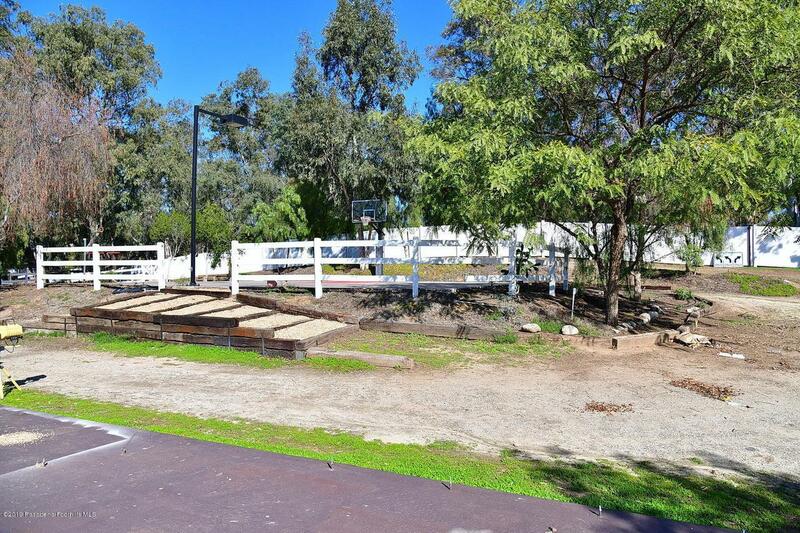 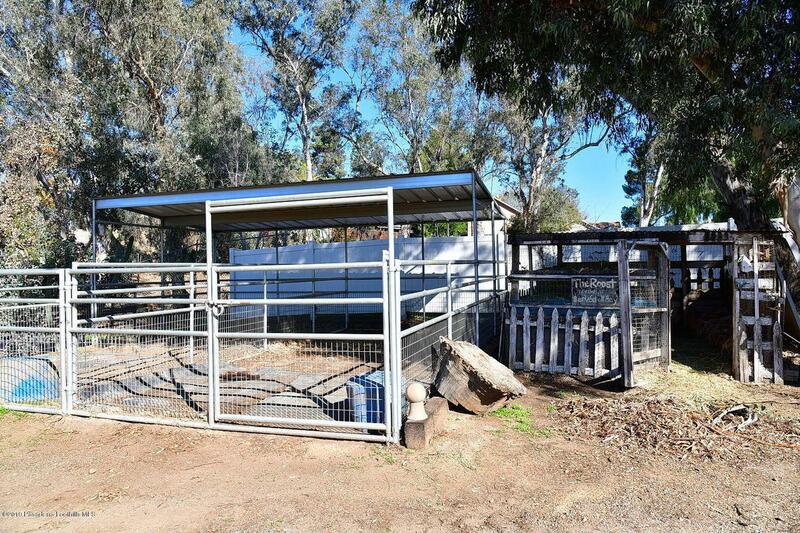 Additional features include a large sports court, 3 stall barn with tack room, large arena, paddocks, pipe pens with cover and turn out areas. 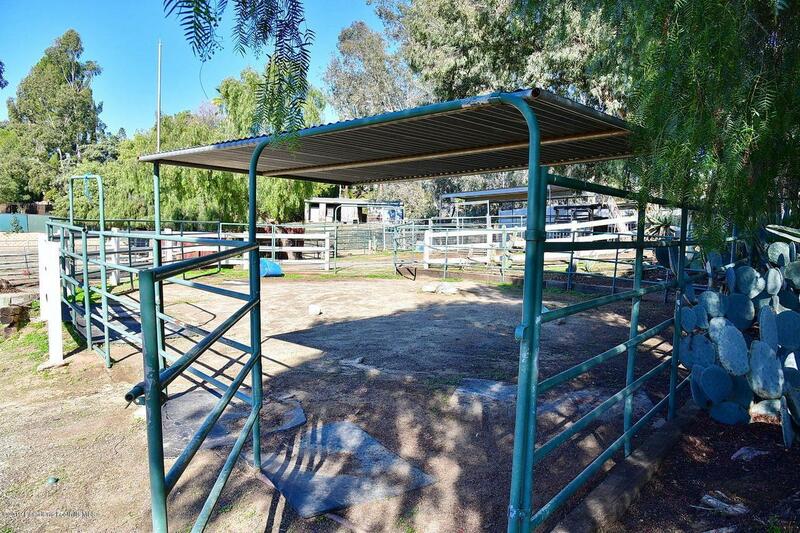 Currently in two separate parcels, this is a rare find in Southern California!